The UNI-ONL7C7 is an outdoor 7ultra-high PoE clear dome housing with a pendant mount. Its Power-over-Ethernet (PoE) has outdoor 60 watt midspan included, and it features a heater and blower. 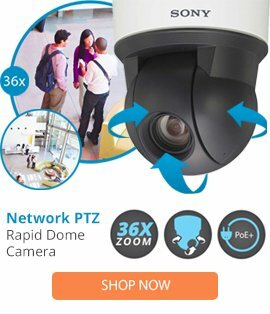 It is compatible with the SNC-ER, SNC-EP, SNC-ZR and SNC-ZP series and the SNC-RH124, SNC-RS44 and SNC-RS46 cameras.